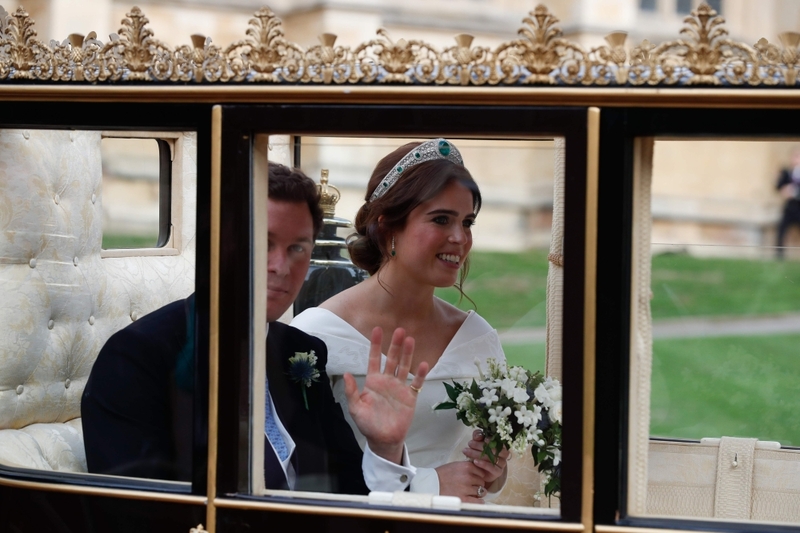 Queen Elizabeth's granddaughter Princess Eugenie married Jack Brooksbank at Windsor Castle on Friday in front of celebrities and Britain's senior royals including Prince Harry and wife Meghan who wed at the same venue in May. 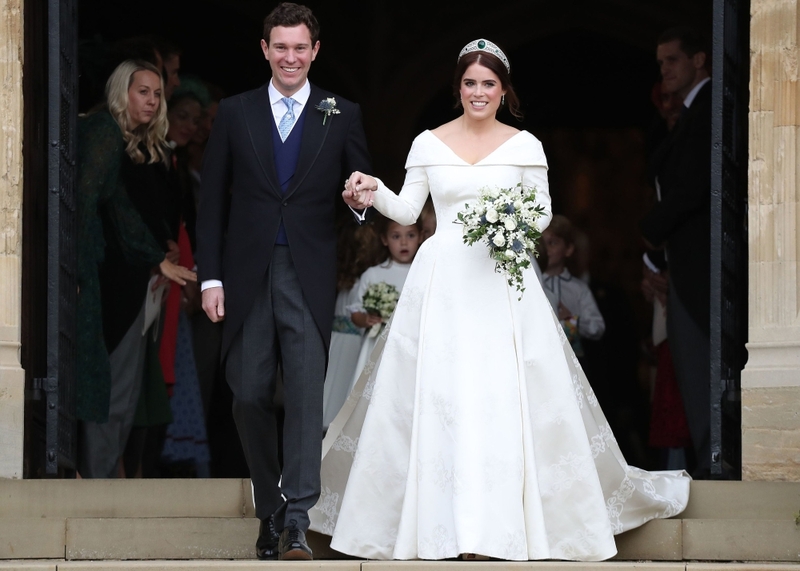 Eugenie, 28, younger daughter of the queen's third child, Prince Andrew, and his ex-wife, Sarah Ferguson, the Duchess of York, tied the knot with Brooksbank, 32, in the castle's 15th Century St George's Chapel. 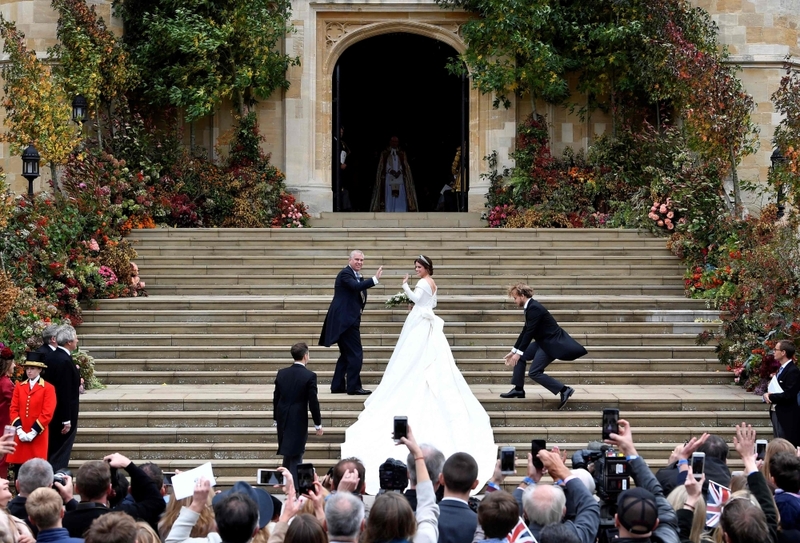 It was the same setting as the wedding of Harry and Meghan earlier in the year, and the Duke and Duchess of Sussex, as the couple are now known, were among the star-studded congregation at Friday's event. 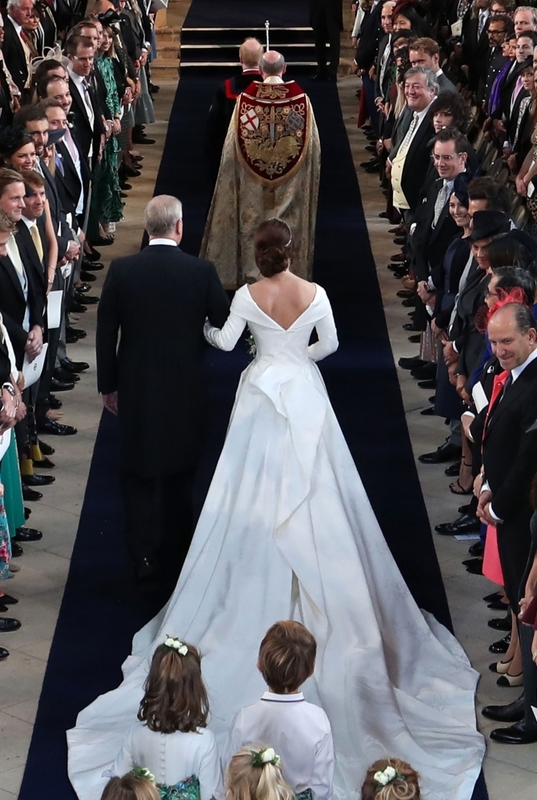 The 92-year-old queen and her husband Philip, 97, who has retired from official engagements, were joined by other royals and celebrities including Hollywood stars Liv Tyler and Demi Moore, models Kate Moss and Naomi Campbell and singer Ellie Goulding. 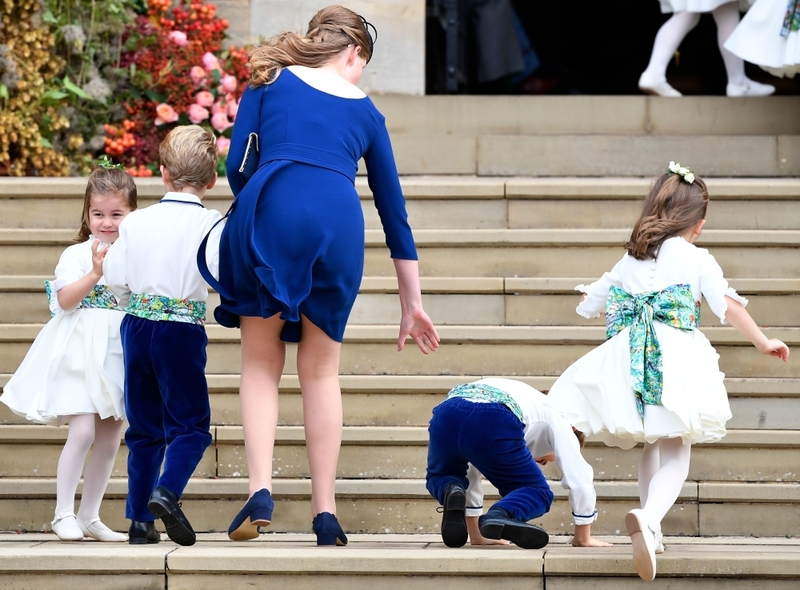 Female guests had to cling on to their hats as a blustery wind threatened their wedding outfits and a page boy tripped on the stairs walking into the chapel. 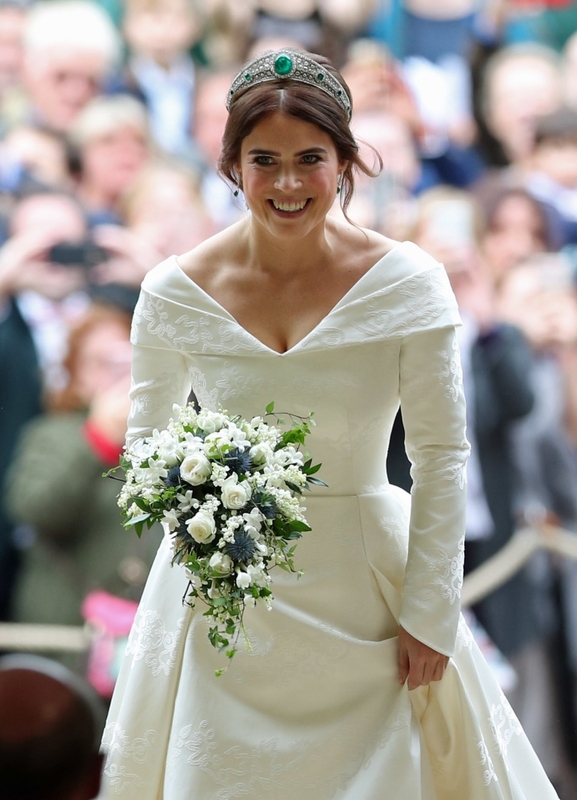 Eugenie’s dress, by Peter Pilotto and Christopher De Vos who founded the British-based label Peter Pilotto, was designed deliberately with a low back to reveal scars from surgery she underwent as a child. 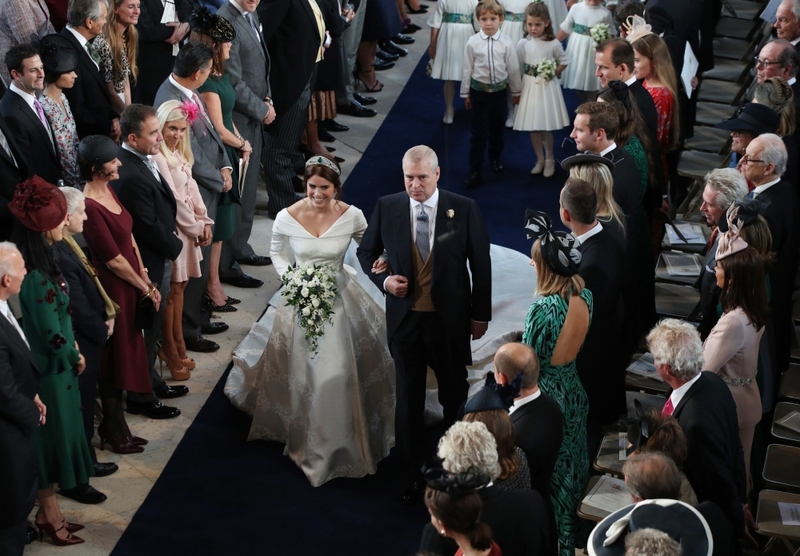 She was led down the aisle by her father, Prince Andrew. "This is meant to be a family wedding," Andrew said earlier. 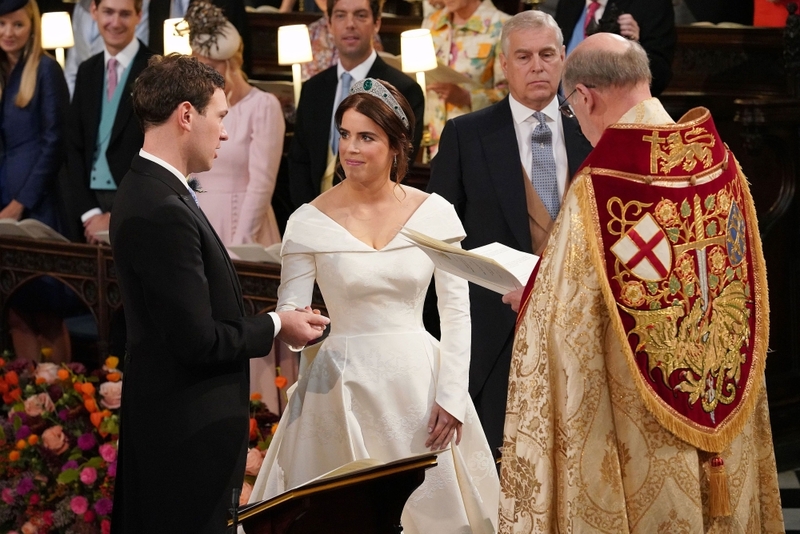 "There will be a few more people than most people have, there are a few more than Harry had, but that's just the nature of Eugenie and Jack - they've got so many friends that they need a church of that size to fit them all in," he told ITV's "This Morning" which broadcast the event live. Singing and cheering well-wishers gathered outside in the streets of Windsor in the shadow of the castle, although there were far fewer people than crammed into the town for Harry's wedding. 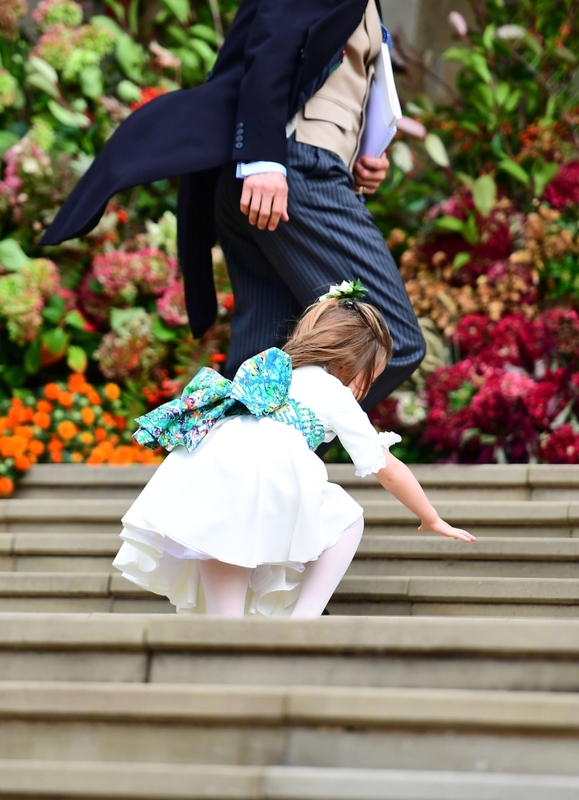 "I'm a true royalist," David Weeks, 77, bedecked in a "Union Jack" suit and bowler hat, told Reuters. 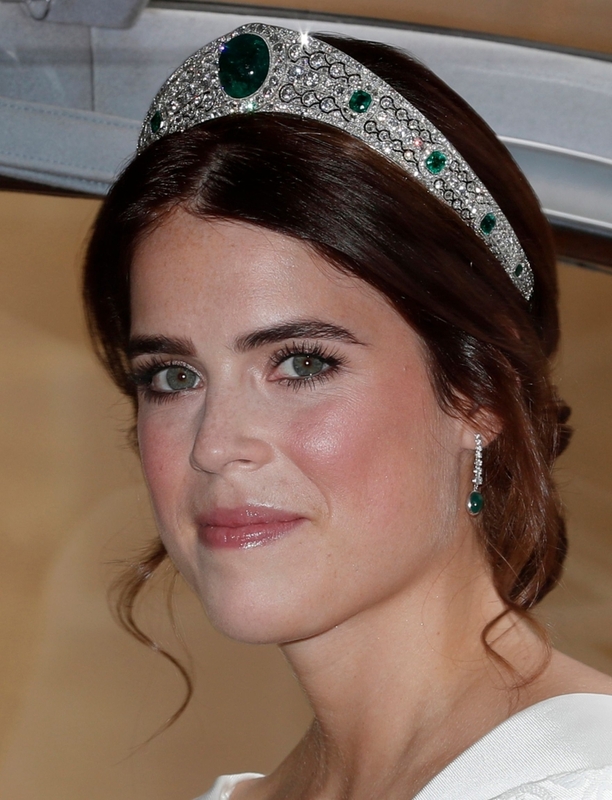 "I was here for the queen's 90th birthday. 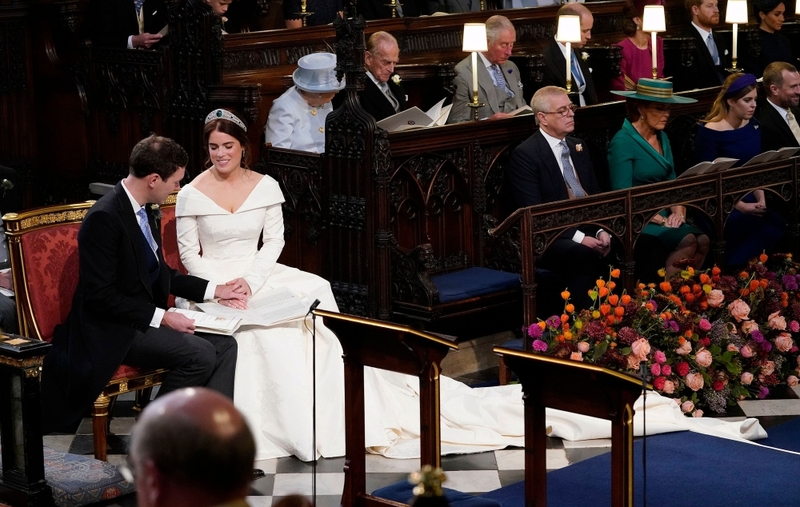 I was here for Harry and Meghan's wedding, I wouldn't miss it, I love the atmosphere." 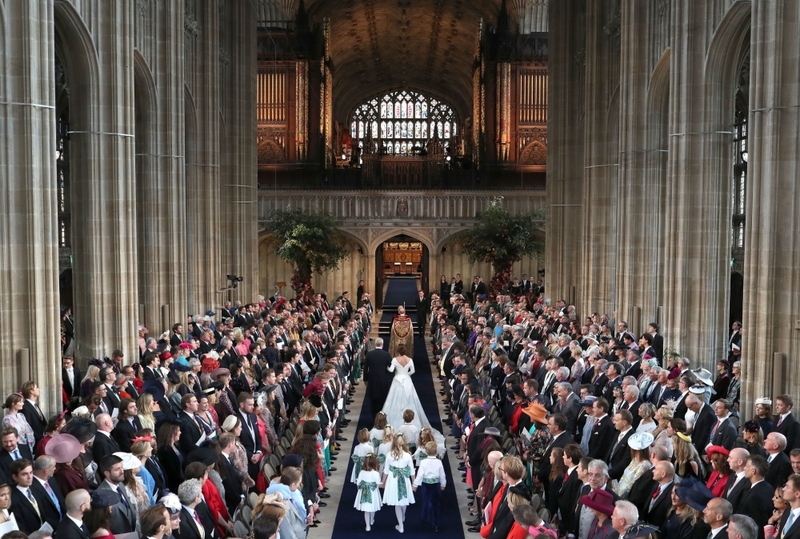 The ceremony was overseen by the Dean of Windsor David Conner and charity guests and 1,200 members of the public were invited into the grounds for the occasion. 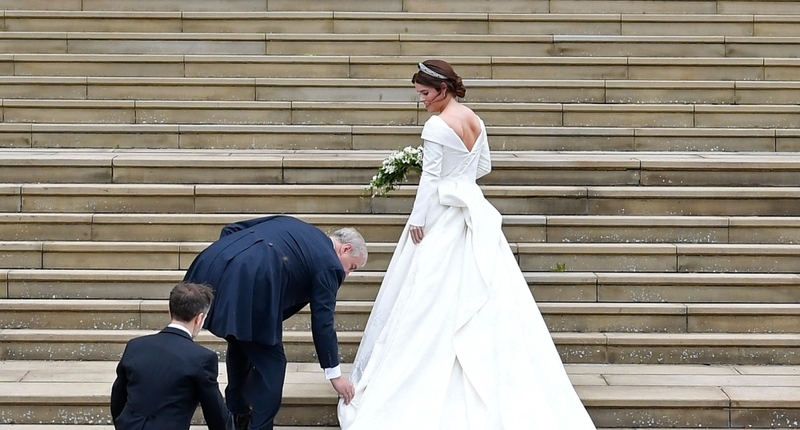 One noticeable absentee was Camilla, the Duchess of Cornwall, the wife of heir-to-the-throne Prince Charles, as she was carrying out an engagement in Scotland. 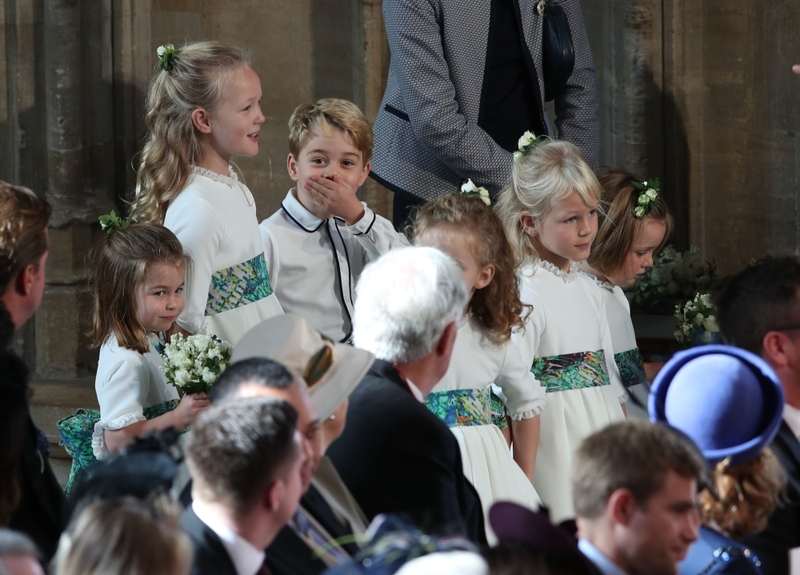 Princess Charlotte, 3, daughter of Harry's elder brother Prince William and his wife Kate, was a bridesmaid, and her brother, Prince George, 5, a page boy. 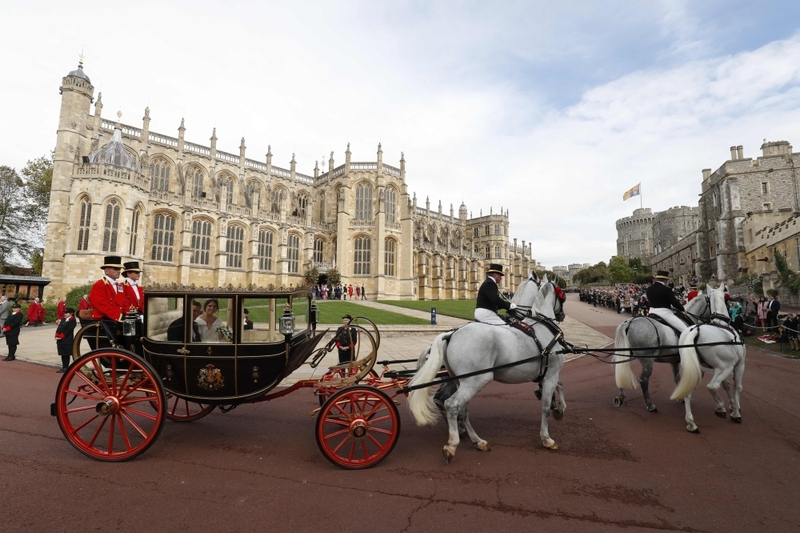 After the service, the couple will make an open-top carriage tour of Windsor. The queen will then host a reception at the castle.